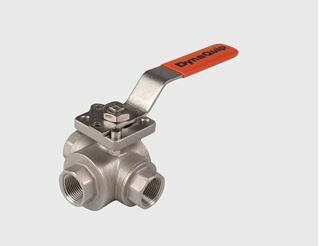 V1S Series two-piece screwed body ball valves are made with investment cast stainless steel. Valve with 316 SS trim is durable enough for severe service applications, yet economical enough for general chemical flow control. Panel mount is standards on all sizes. Adjustment of stem packing can be done while valve is in service. Need this valve automated? Look at our DynaMatic E1S and P1S series for a similar valve already packaged. 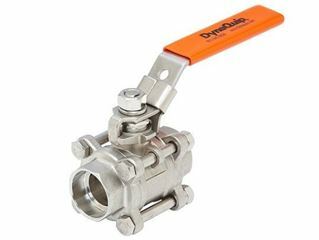 VYSA Series Three-way utility ball valve has a 90deg “L” port (diverter) design and features and investment cast body and endcaps, stainless steel trim, RTFE seats, blowout-proof stem, and NPT end connections. ISO 5211 mounting pad makes automation easy! See our DynaMatic EYSA and PYSA series for assemblies. 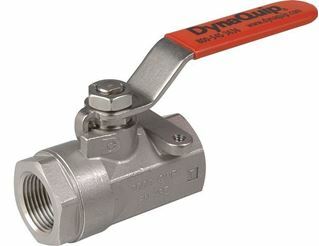 VYSG Series Three-way utility ball valve has a 90deg “L” port (diverter) design and features and investment cast body and endcaps, stainless steel trim, RTFE seats, blowout-proof stem, and NPT end connections. ISO 5211 mounting pad makes automation easy! See our DynaMatic EYSG and PYSG series for assemblies. 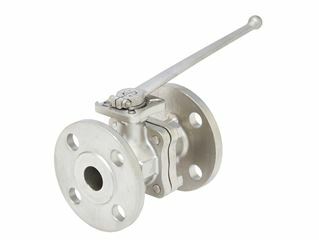 V3S & V6S Series ball valves are designed for food and general chemical applications where maintenance is key. Valve features RTFE seats, blowout-proof stems and actuator mounting pad. ISO 5211 mounting pad makes automation easy! See our DynaMatic E3S and P3S series for actuator assemblies. ISO 5211 direct mount pad provides accurate stem alignment and eliminates need for brackets. 3-Piece swing-out design provides easy in-line maintenance. For Socket Weld connection or Manual Handle, see our V6S series. V5S Flanged Series ball valves are perfect for a wide range of applications where ANSI 150 flange is needed. This two piece A351-CF8M stainless steel investment cast body valve features a blow-out proof stem, anti-static device, and a fire safe design (test to API 607). ISO 5211 mounting pad makes automation easy! See our DynaMatic E5S-Flanged and P5S-Flanged series for assemblies.